Vegetarians just got a new haunt in SoBo with a new cafe, The Next Big Thing opening up in Chowpatty. Colourful interiors, cosy tables with many nooks, a warm yet quirky atmosphere -The Next Big Thing is just the place to meet a friend after dinner to catch up on the day’s events, or sneak a lunch in between work hours and get something comforting to eat. 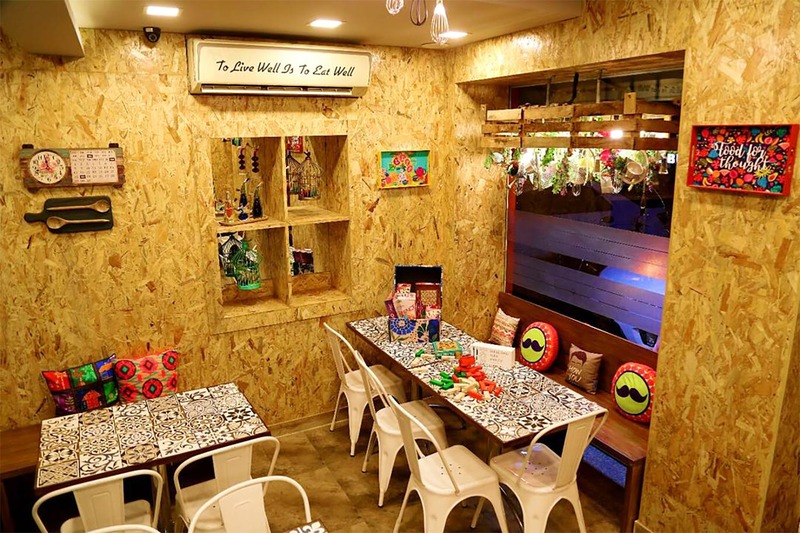 Opened by Mahek Sharma and Tanya Varshney, this eatery is located at Girgaum Chowpatty, and is here to be the affordable, vegetarian cafe you always need when funds are running rather low. Find the best of many cuisines – Italian, Chinese, Mexican and even Thai here. With an appetisers menu faring from sandwiches, burgers, loaded nachos, mini tacos, wraps and rolls, seven types of fries & more, you know you cannot go hungry here. In fact, you’re also spoilt for choice with pizza, pasta, wok noodles, burrito bowls, Thai curry and even fondue! All of this starts at INR 125 for a soup, INR 165 for starters and pizza at INR 250. And you know a place has got to be good if it ends on waffles. Could this be the next hangout spot for a quick date or a catch-up session with your friend? We think so!